The Surface 3 with LTE is gathering acceptance, adding AT&T on top of T-Mobile and Verizon. Earlier this month, Microsoft promised that a version of its Surface 3 tablet would launch with LTE from T-Mobile or Verizon inside. Now you can add AT&T to the mix, too. This Friday, you can purchase the Surface 3 for $0 down and $30 per month with the AT&T installment plan, AT&T said. Or, you can buy a Surface 3 for $400 with the purchase of any Lumia smartphone on the AT&T Next plan. 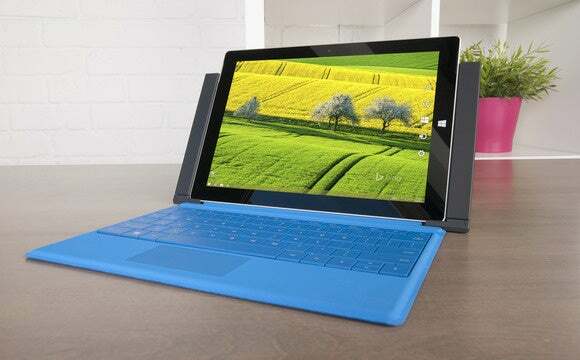 A commercial version of the Surface 3 will be available to business customers in the coming weeks, AT&T added. As you might expect, the tablet will ship with Windows 8.1, but it'll certainly be upgradable to Windows 10 when the software launches on July 29. It doesn’t appear that you’ll be able to buy a Surface 3 outright, then connect it with an AT&T SIM; AT&T appears to want you to pay monthly. Note that the LTE models typically costs about $100 more than their non-LTE counterparts, at $599 with 2GB of RAM and 64GB of storage, and $699 with 4GB of RAM and 128GB of storage. AT&T promised more details when the Surface 3 tablet with LTE launches this Friday. Why this matters: It certainly appears that Microsoft’s Surface 3 is gaining universal acceptance, to the point where three of the top four U.S. carriers are supporting it. (Versions of the Surface 3 with LTE are also arriving in France, Germany, and the United Kingdom.) That’s a good sign that Surface tablets are not a flash in the pan, and will be around for generations to come.